Habitat: Upland, Mountain. 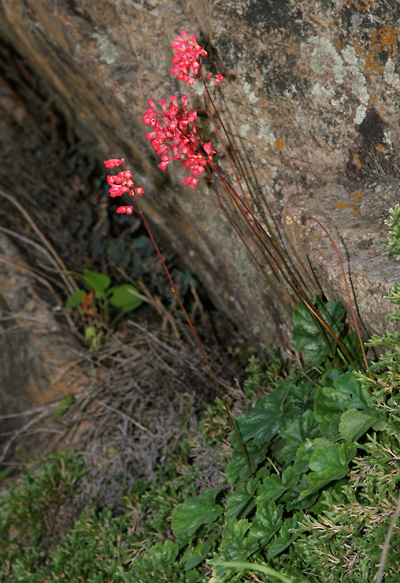 This attractive wildflower grows here on rocky hillsides in the mountains, usually in the shade of a large rock. 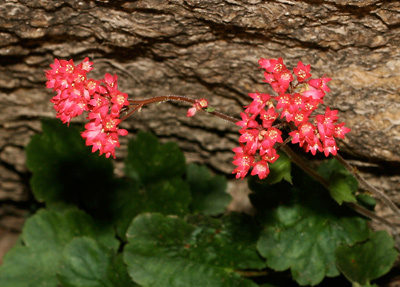 In other, cooler, non-desert areas, Coralbells are cultivated garden plants that are especially popular for hummingbird gardens. Flowering Season: Spring, Summer, Fall (early). These were photographed in August and September in the Santa Catalina and Santa Rita Mountains. 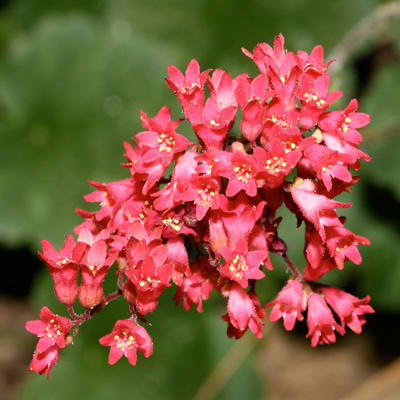 Description: The flowers are clustered near the tips of long, slender, leafless flower stalks. 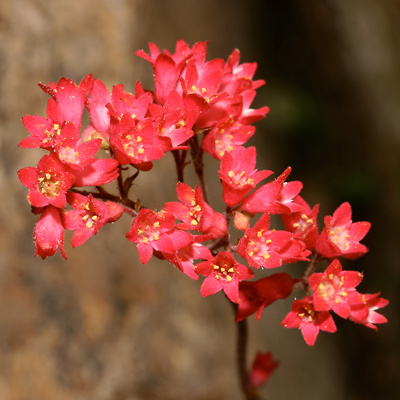 The individual flowers have 5 petals and are small, bell-shaped to urn-shaped, and glandular-hairy. The flowers are followed by small, beaked, egg-shaped seed capsules. The leaves have glandular-hairy petioles and are dark green, basal, rounded to heart-shaped, and palmately lobed with 5 to 7 main lobes. The plants are low, spreading, and stemless. 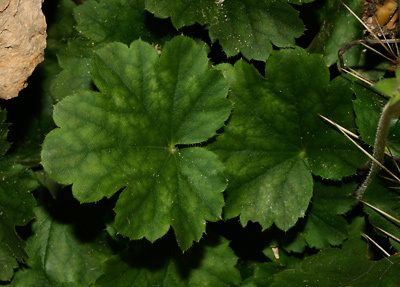 The similar Chiricahua Mountain Alumroot (Heuchera glomerulata) has yellowish green flowers and leaves that are purple below, while Pink Alumroot (Heuchera rubescens) has very fuzzy, pale pink flowers. Hummingbird Flower – Even though the flowers are small, they contain abundant nectar and attract hummingbirds.